(Keeping in the retro mood of the last posting...) While this photo looks like it could have been taken in the recession of the late 70s , it was actually snapped yesterday. 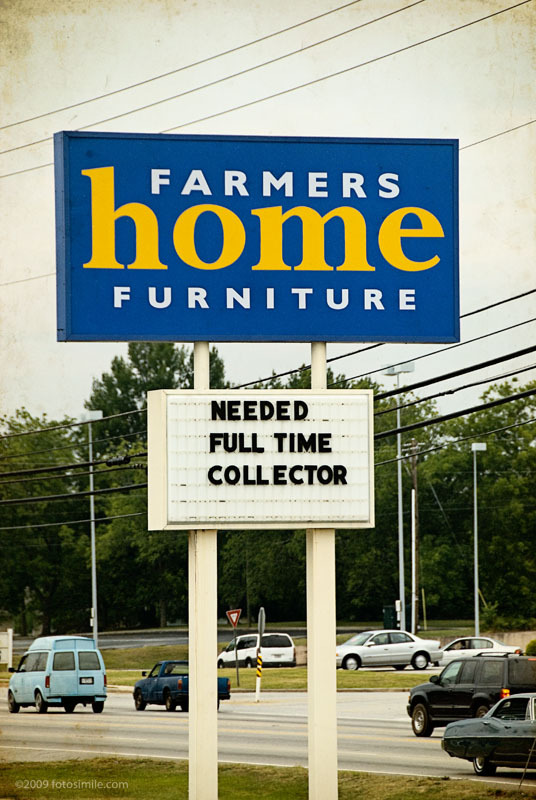 In a time when the media is full of news of lost jobs and climbing unemployment rates, there is something disconcerting about the one available job at a furniture store being for a COLLECTOR. And what is more interesting is the fact that I think they filled the position! Nice touch on the sky.